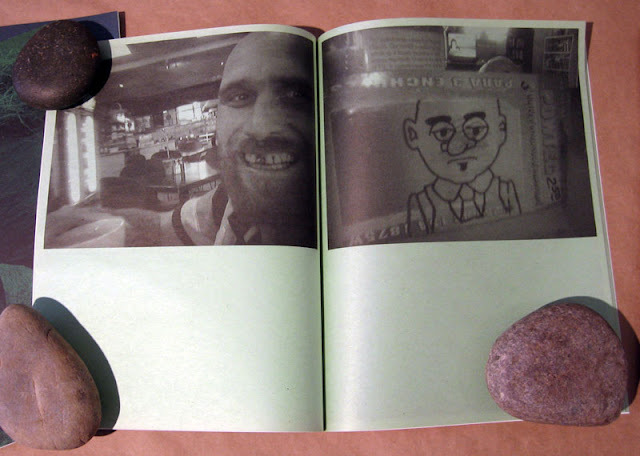 We've just received five of the six yet published zines from Decathlon Books (we're waiting on stock for number 2 -- Sleep Talking by Todd Jordan). Decathlon was started by Duncan Hamilton and Peter Sutherland to feature artists, designers and photographers they find interesting, and as the name implies, will ultimately publish ten zines in the series. 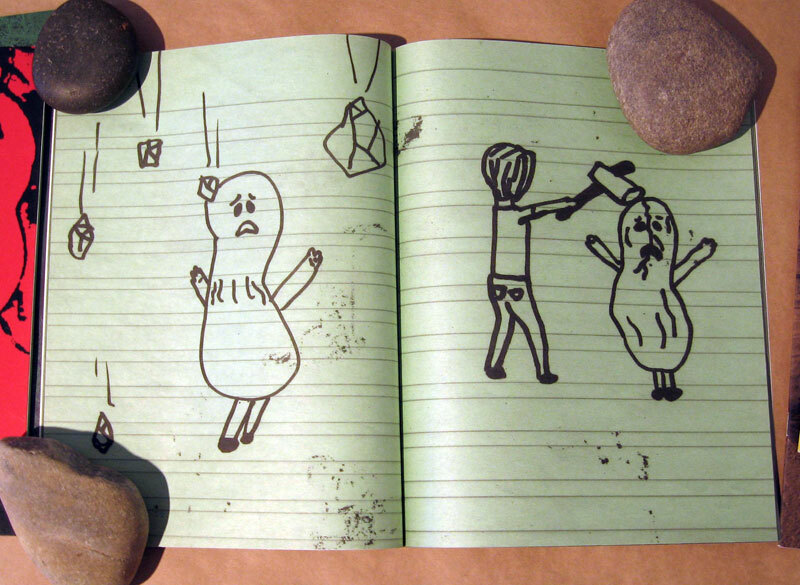 So far, the books are fantastic. These are the kind of zines for grown-ups -- perfect or staple bound, glossy covers and well laid out but produced on the cheap -- the newsprint interiors are a reminder of the xeroxed zines that many of the artists featured in this series have made in the past. The series kicked off with Emportant News by legendary professional skateboarder and prolific artist Mark Gonzales. 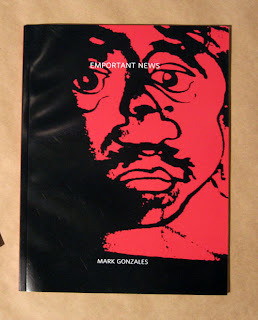 Known for his drawings, zines, painting and poetry, Emportant News is comprised of a series of photographs shot by Gonzales on his Sidekick cell phone, represented here as black & amp; white images printed on green newsprint. Some of the images are accompanied by phrases, creating an oddly funny interplay of visual images punctuated by strange verbal quips. 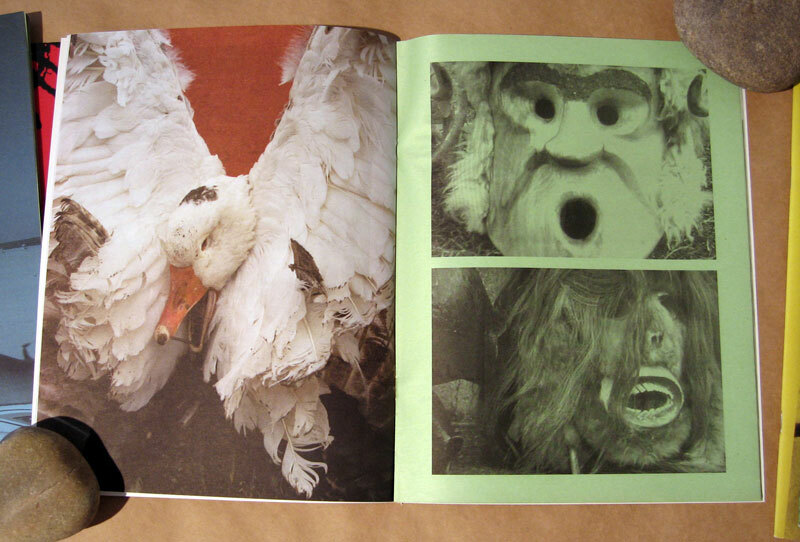 There's poetry in the arrangement of these images -- as weird and gritty as they are. Number 3 is The Alaskan by painter/sculpture/photographer/maker of awesome things Misaki Kawai. 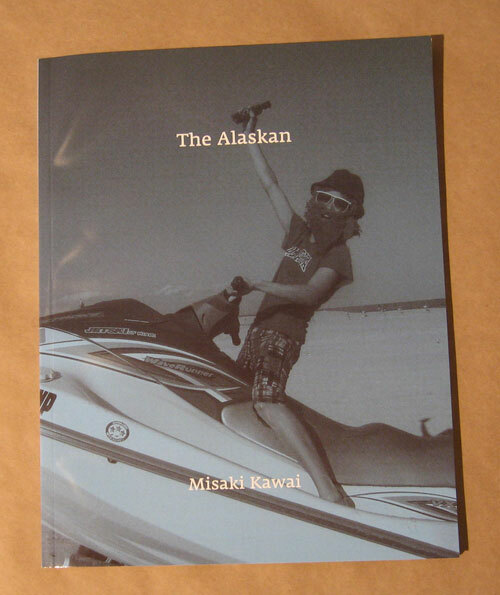 Also printed on green newsprint, The Alaskan opens with a funny little interview with Kawai, questions asked by her mother. It's a silly sweet conversation and sets the perfect tone for the images that follow. 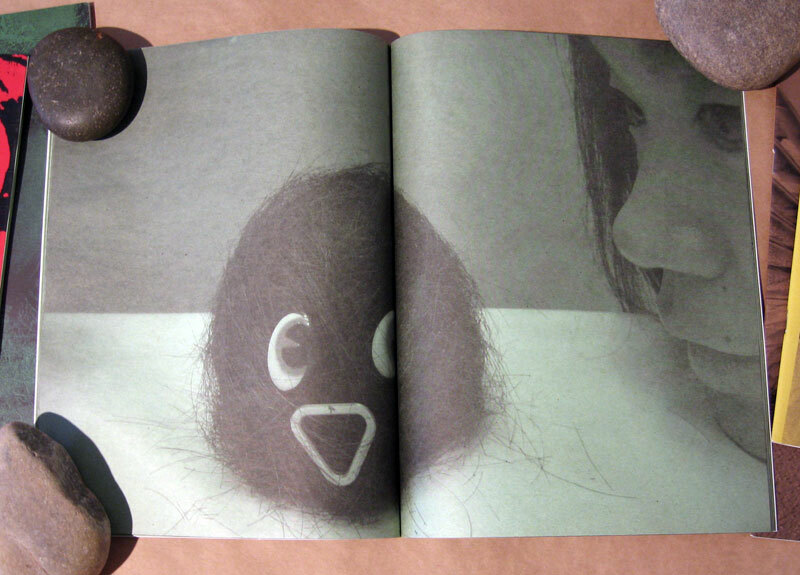 The images in the book feature Kawai's quirky images as well as documentations of her art work -- sculpture and drawings, and even a pile of the zines she hand produces (which are available on her website). 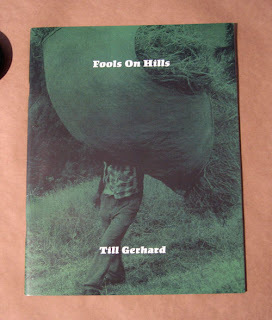 Number 4 is Fools on Hills by German artist Till Gerhard. Named one of the best books of 2009 by Ron Jude and Danielle Mericle, Fools on Hills features assembled photographs from a variety of times and places, continuing Gerhard's explorations into the dubious human need for spirituality and faith. Finding recurring motifs and using them to link the past with the present, Gerhard also weaves in a few images of his own paintings, creating a diverse and intriguing mix of images, eerie, and at times both unsettling and funny. 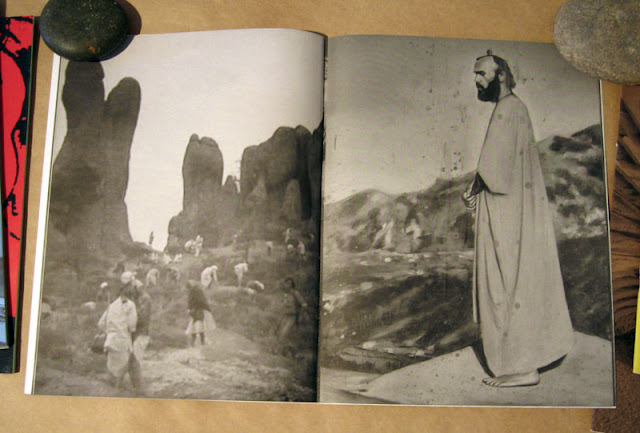 The book is prefaced by a great essay by Decathlon Books. 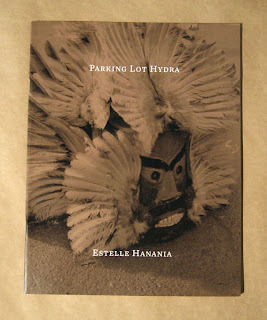 Number 5 is Parking Lot Hydra from photographer Estelle Hanania. Documenting a traditional winter festival in Bulgaria, Hanania's images capture the participants in the interim moments, in process of setting up and taking breaks, adding an additional level of other-worldliness to the strangely costumed subjects. 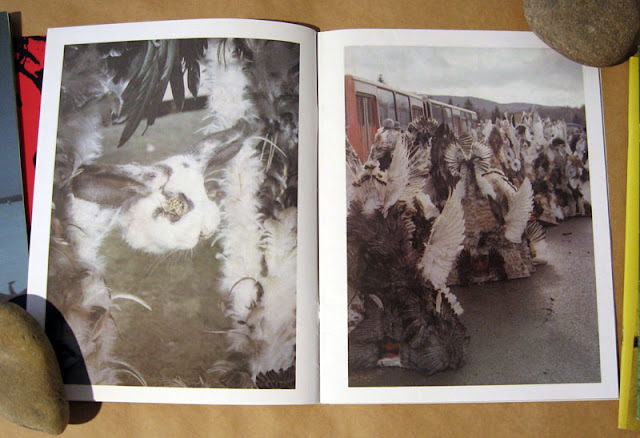 The costumes themselves are fantastic -- vast collections of fanned out feathers and vaguely human-shaped mounds of fur. And plenty of masks -- some stunning in their elaborate decoration, others creepy in their haphazard construction. 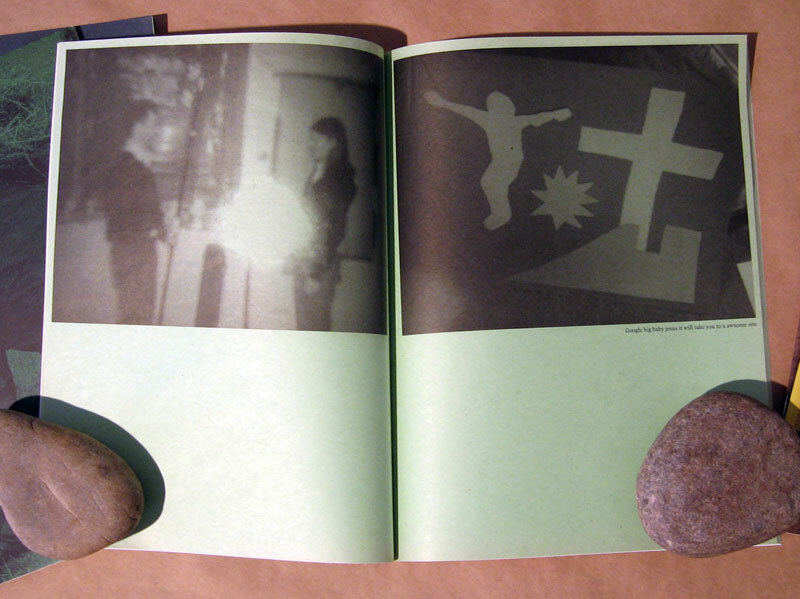 The book opens with an interview with Hanania and Decathlon, giving background to the project and festival. Also printed on newsprint, the images in this volume are in color, except for a few pages at the center of the book printed black & white on green newsprint. Number 6 is a joint project, JAM -- standing for Jack And Maggie -- Jack Greer and Maggie Lee. Fellow Pratt graduates, Greer and Lee create a stew of photographs, drawings and collage. 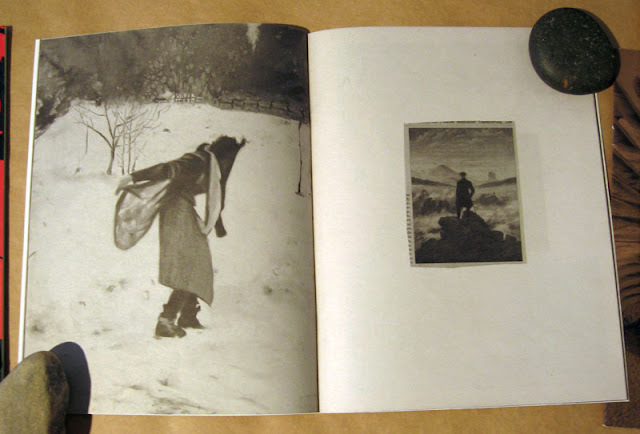 Images are not distinguished by author, but two distinct voices do emerge often creating an engaging back and forth, other times talking across each other. JAM is a frenetic series of images capturing friends, crack pipes, street shots, assembled objects, messy rooms and more. 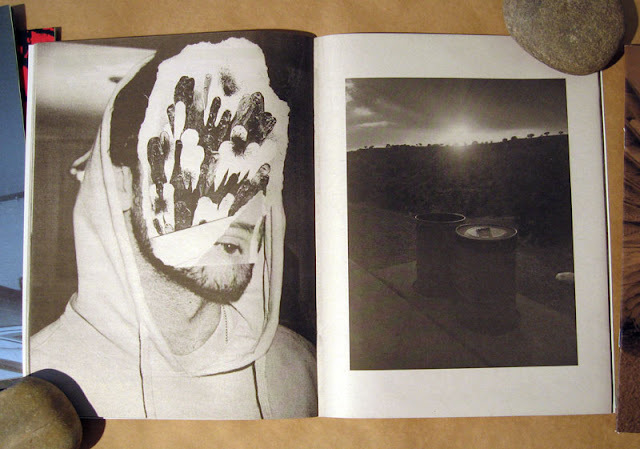 Lee is a veteran zine maker and currently runs the zine Frenching. 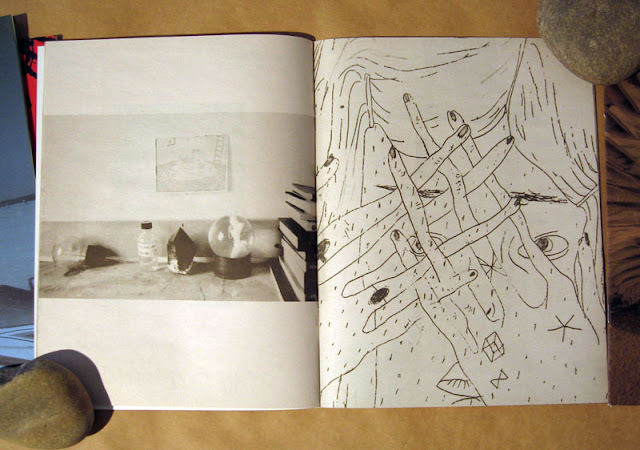 Both her and Greer have blogs, creating and posting "little works along the way." 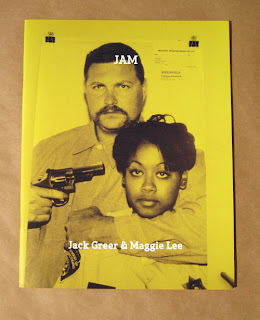 JAM and its authors are introduced in a forward by Decathlon Books. Check out all of the Decathlon Books here.